Gaiz, gaiz! I am so stoked to talk about my newest acquisition of my very first candle subscription box! I’ve been buying candles from Meraki Candles ever since Heather first opened her shop. Boy, was I surprised when she announced that she was doing an Anime Quarterly subscription box! Before I was a bibliophile, I was an anime gal first and foremost- this legit made me screech in happiness and excitement! I got even louder when the first theme was Studio Ghibli. I absolutely adored Hayao Miyazaki movies, so I couldn’t really press the purchase button soon enough…like I needed this box the day before it was even announced, bwahaha! Anyways, enough about me and let’s get to the goodies! The print with Howl’s Moving Castle was just an insert explanation of what Studio Ghibli was all about while also giving some recommendations on what Hayao Miyazaki movies to watch. The blue card was an overview of what goodies were in the box, but I skipped that because it’s always better to show than tell! The last is an original vintage style art postcard of ‘Nausicaä of the Valley of the Wind’ from CodyLeighBond. Honestly, this was one Miyazaki movie I haven’t watched yet, so I should really get on that. 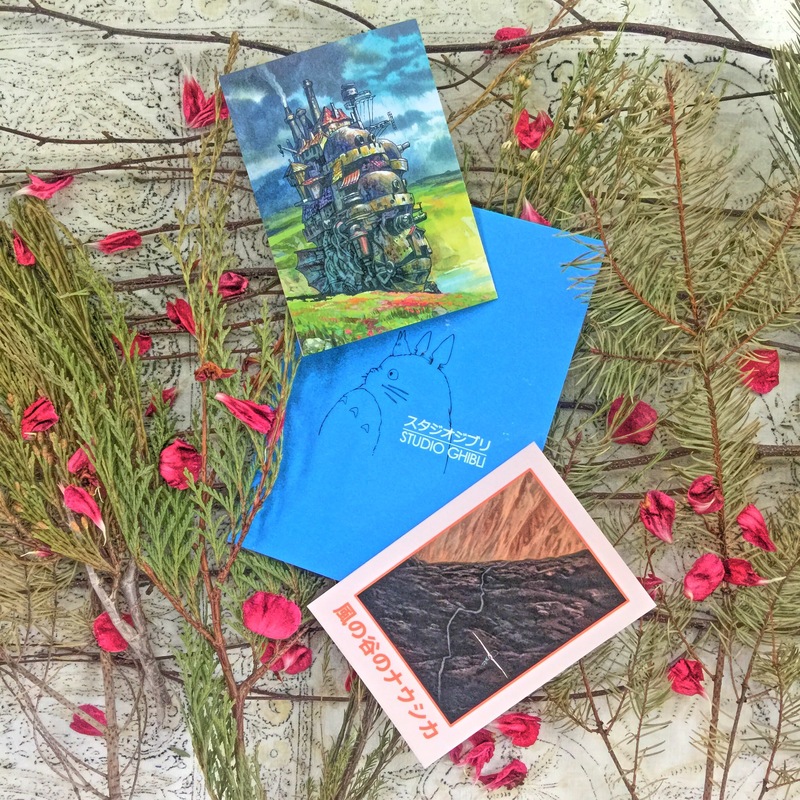 If you visit Cody’s shop, you’ll find other Studio Ghibli prints and cards…so tempted right now, but I must resist! 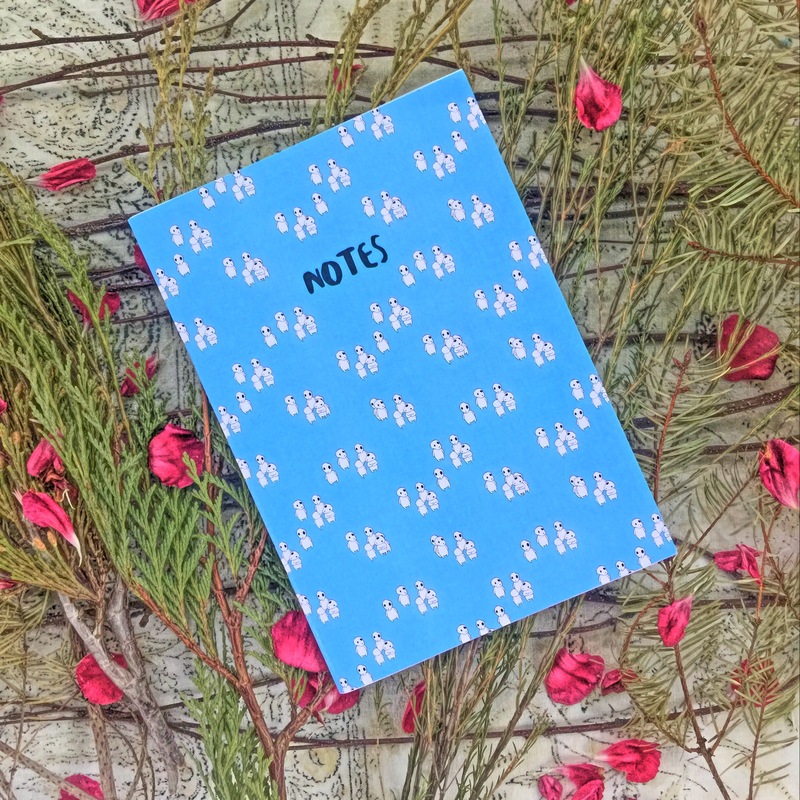 Next was this Kodama Notebook from House of Wonderland! If you’re a ‘Princess Mononoke’ fan, then these tiny tree spirits should be familiar to you! If you’ve checked out my previous Nerdy Box post, then this artist should also be recognizable to you. That’s right! 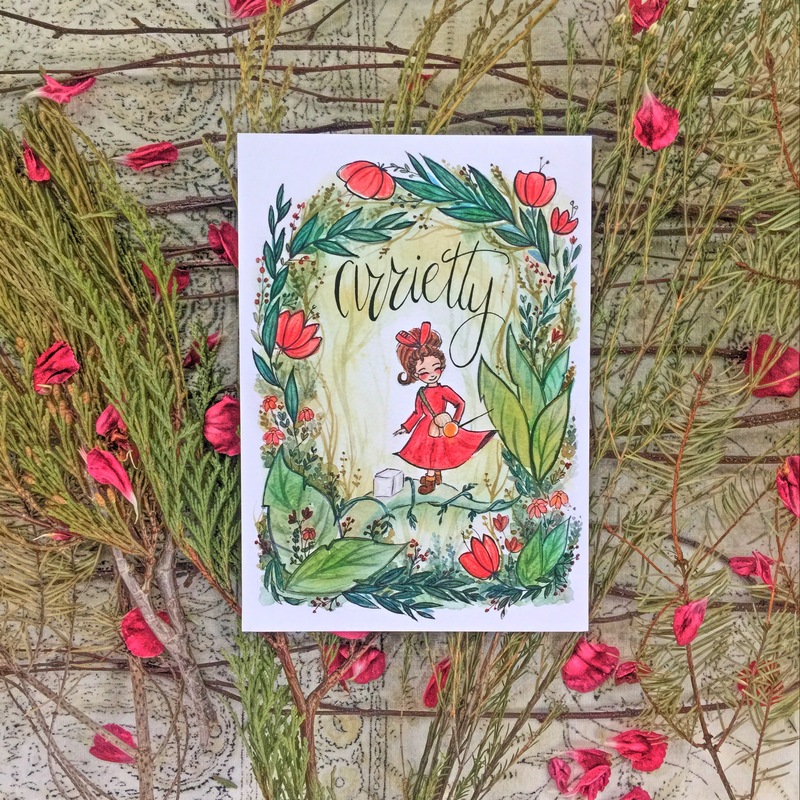 This awesome print of Arrietty from the ‘Secret World of Arrietty’ was created by none other than TJ Lubrano! Her whimsy style’s just way too cute! I legit squealed when I saw that a soap from Gina of BehindthePages was included! I’ve tried other soaps and lip balms from her and they’re always divine smelling! 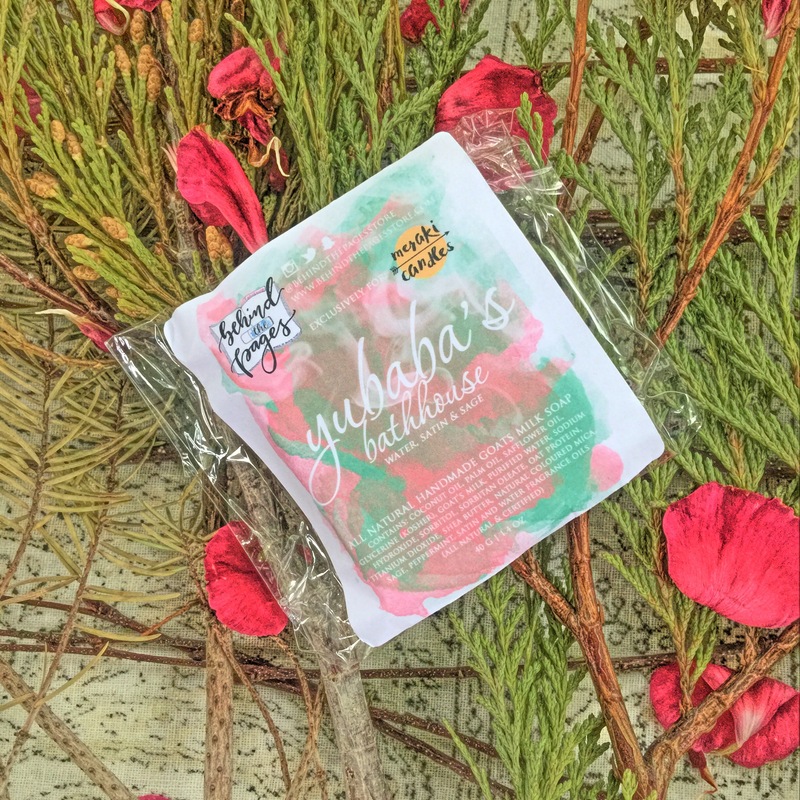 This exclusive Yubaba’s Bathhouse soap was no different! The scent was strong without being over the top. I could definitely imagine myself in a relaxed state if I ever visited a bathhouse with these amalgamation of scents! Btw, Yubaba was a witch character from ‘Spirited Away.’ She’s fugly as all get out, but at least this soap’s beautiful in all senses! 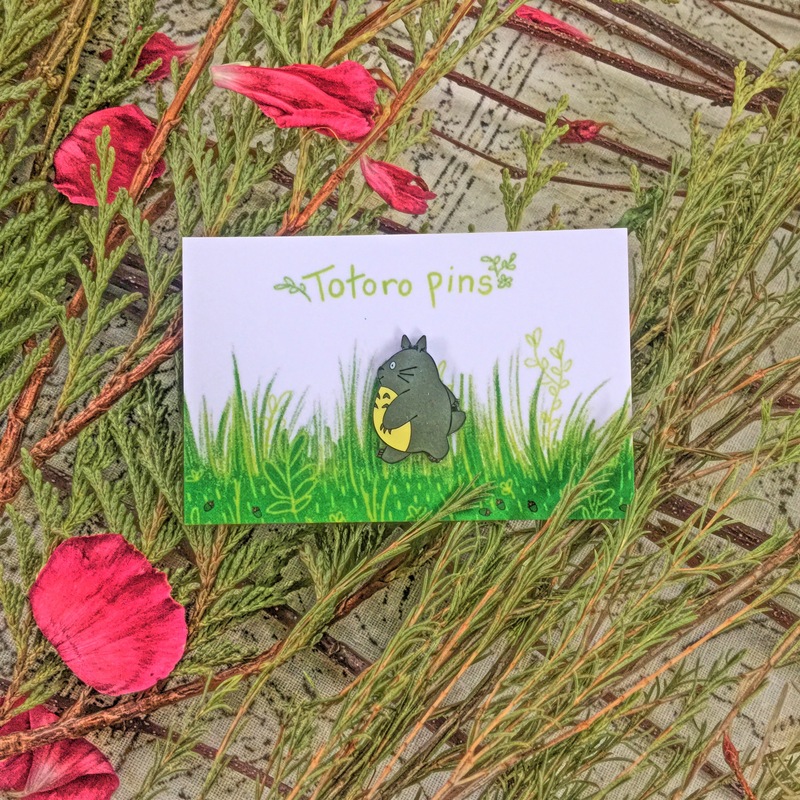 Not gunna lie, but this Totoro enamel pin from Hannah Hitchman was probably my fav! It’s uber adorable! Also, it’s cool that not all boxes had the same design; it’s exciting to think what pins other subscribers got! 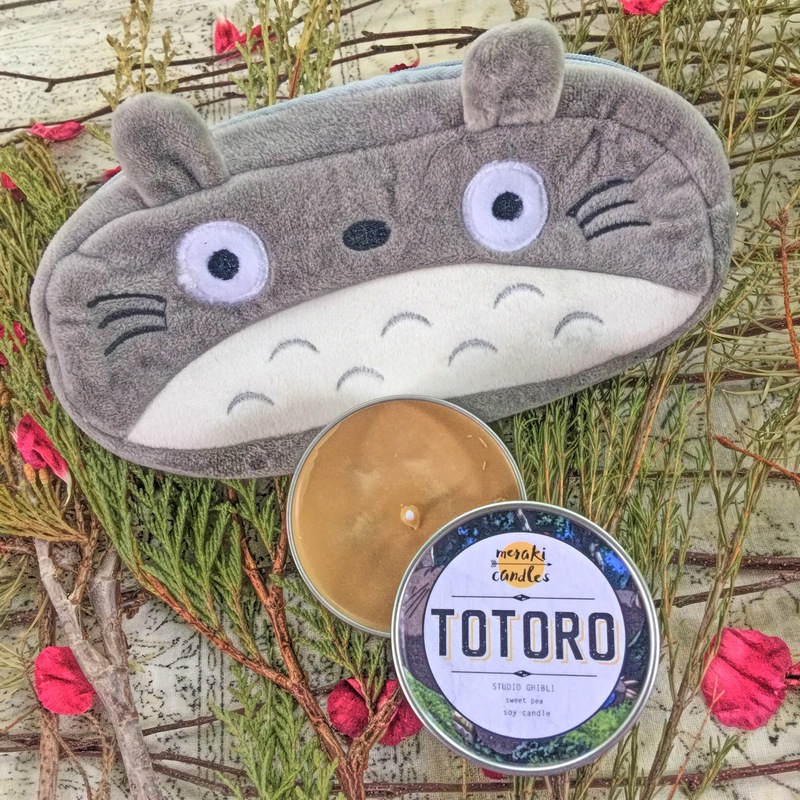 Speaking of Totoro, one of the 4 oz candles included in the box was a Totoro candle! Yay! This had a sweet pea scent. I was a bit disappointed in the simplicity of the fragrance choice. I wish Heather included something else to counter the super floral smell of this. Plus, sweet pea wasn’t exactly the first thing that came to mind when I thought of Totoro…maybe something foresty/earthy or even fresh air. FYI, the Totoro pencil pouch wasn’t included in the box, haha! 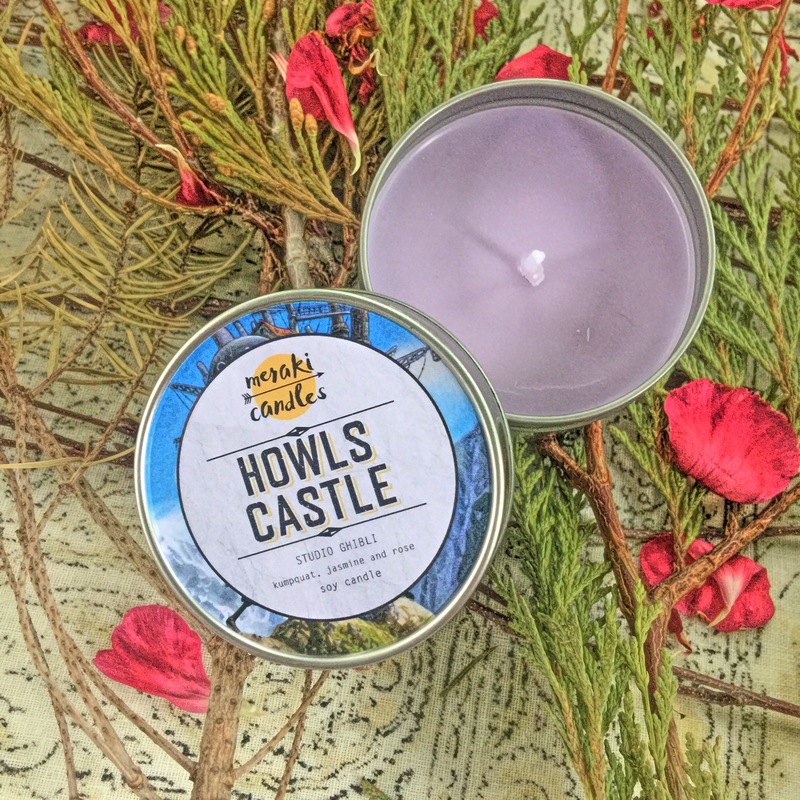 Last was this kumpquat, rose, jasmine and patchouli scented candle inspired from ‘Howl’s Moving Castle.’ While I did like this scent more than the Totoro candle, this flowery fragrance didn’t exactly scream Howl’s castle for me, which was a quirky contraption of metal, wood and magic. Besides the inaccuracy of the scent choices, I was overall pretty satisfied with this box! I paid around $28 for it and another $13 for the international shipping. Just a heads up that it could take about 2-4 weeks for this to arrive if you’re not a UK native, haha! International transit could be slower than slow, afterall. Anyways, I’d give this box a 4 out of 5 stars rating, and I believe the price was more than reasonable considering how much more you could’ve paid if you bought each items individually! 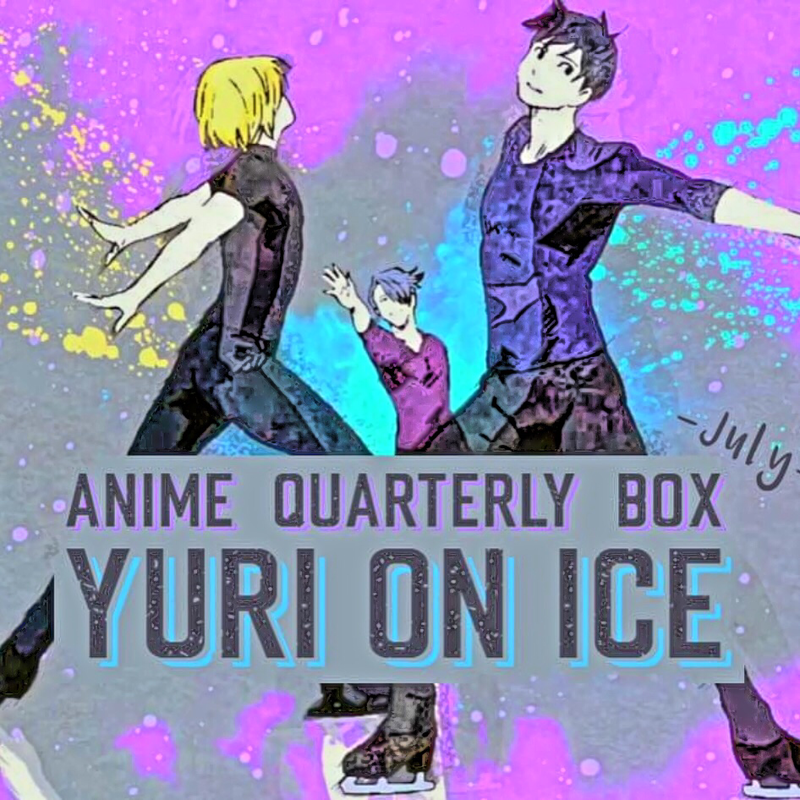 The July Anime Quarterly box will be full of pretty boys and ice skating loveliness! ‘Yuri on Ice’ definitely took the anime world by storm and I can already hear the fan girls’ screaming and chantings for this! If you loved what you saw in the Studio Ghibli box and you also ship Victor and Yuri, then maybe do try out for this upcoming box that Heather will soon be opening the preorders on! I have many more May unboxings coming up, so stay tuned!